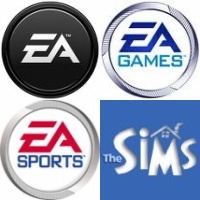 Electronic Arts has announced that it will be shutting down online servers for 42 "older" games effective September 1. Community response to this action has been largely negative, with many questioning EA's motives for eliminating multiplayer support for games less than two years old. More information about the shutdown is available at the official EA support site. I've always been of the opinion that if a company discontinues its servers, then it should issue a patch for the games so that they can connect to private servers, and a server app. Then I see only one problem, that being the fact that you don't run EA.